1. 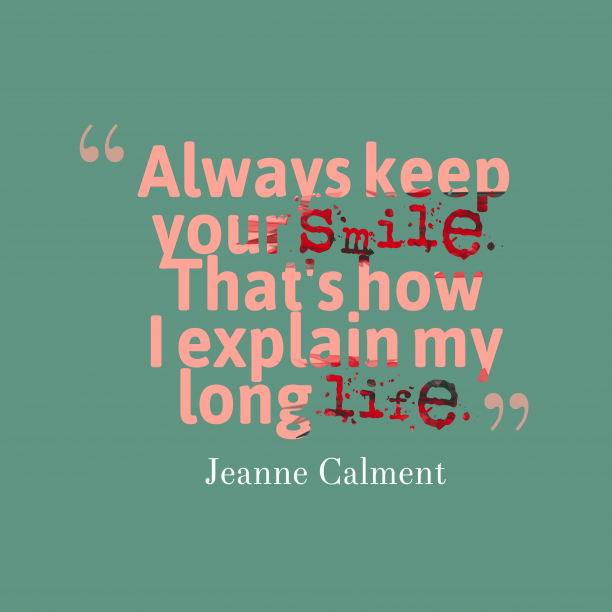 Jeanne Calment quote about smile. "Relative calm is expected in South Central Los Angeles for the next several weeks, as looters stay home and try to program their new VCRs. " "Sanity calms, but madness is more interesting. " 4. Honoré de Balzac quote about ideals. 5. 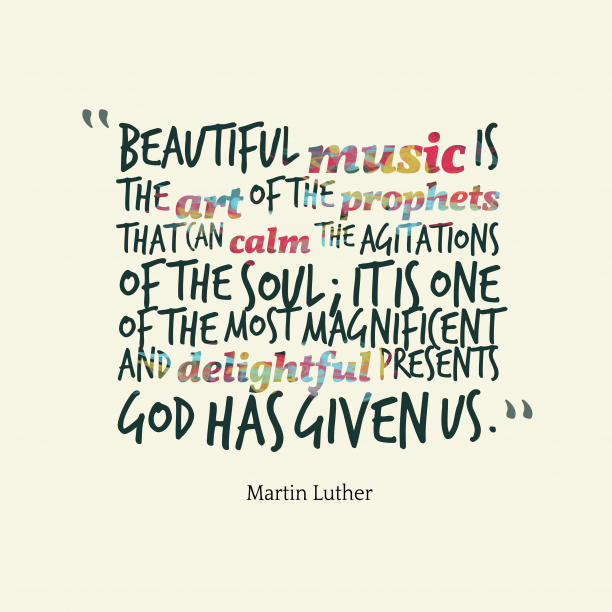 Martin Luther quote about music. 6. 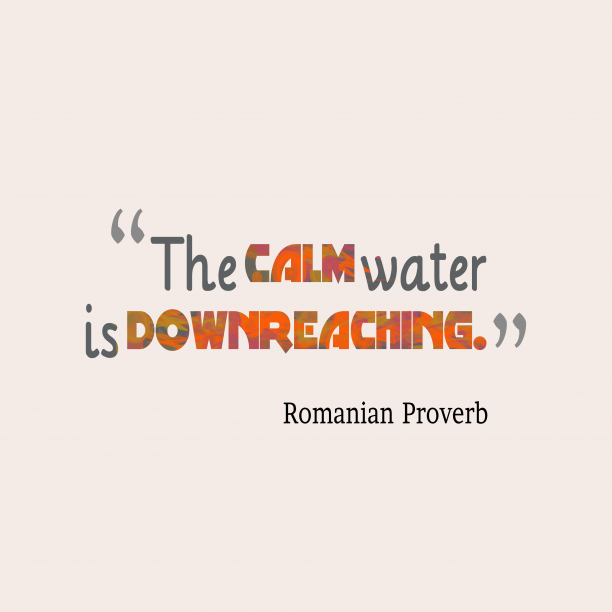 Romanian wisdom about ambition. 7. 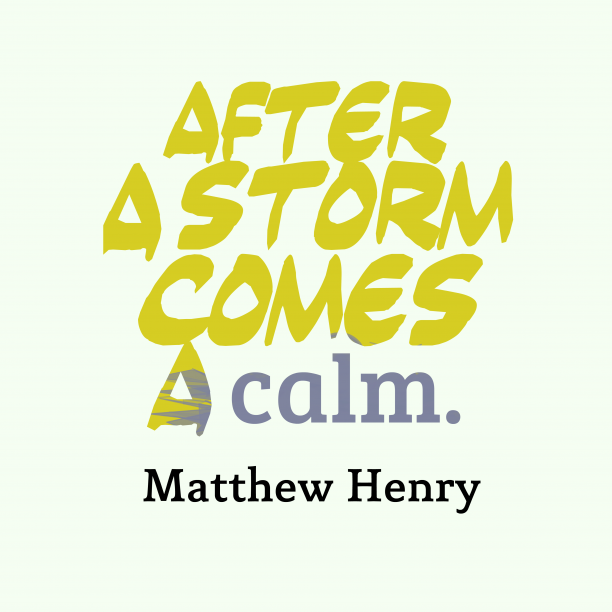 Matthew Henry quote about motivational. "Great events make me quiet and calm; it is only trifles that irritate my nerves. " "How sweet and soothing is this hour of calm! I thank thee, night! for thou has chased away these horrid bodements which, amidst the throng, I could not dissipate; and with the blessing of thy benign and quiet influence now will I to my couch, although to rest is almost wronging such a night as this. " "Hence it is clear how much more cruel the pen is than the sword. (Hinc Gham Sit Calmus Saevior Ense Patet) "
"A life of peace, purity, and refinement leads to a calm and untroubled old age. " "He who is of calm and happy nature will hardly feel the pressure of age, but to him who is of an opposite disposition youth and age are equally a burden. " "I admire the serene assurance of those who have religious faith. It is wonderful to observe the calm confidence of a Christian with four aces. " "I begin to think, that a calm is not desirable in any situation in life....Man was made for action and for bustle too, I believe. " "Anyone can hold the helm when the sea is calm. " "That ready wit, which you so partially allow me, ... may create many admirers; but, take my word for it, it makes few friends. It shines and dazzles like the noonday sun, but, like that, too, it is very apt to scorch, and therefore is always feared. The milder morning and evening light and heat of that planet soothe and calm our minds. Never seek for wit; if it present itself, well and good; but even then, let your judgement interpose, and take care that it be not at the expense of anybody. "